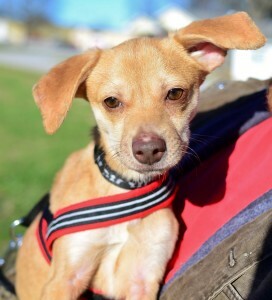 Little 8-month-old Michael is a certified lap dog through and through. This Terrier and Chihuahua mix is a tad shy at first, but offer him a lap to sit in and he’s your instant best friend. Toys and comfy blankets are two of his favorite things and if he has both, he is one happy guy. He is alert and curious and, at the slightest sound, will go to check it out. He is both loyal and protective and will easily become attached to one family member of the house, but still be a socialable family member. Visit with Michael and you’ll find yourself quickly falling in love. 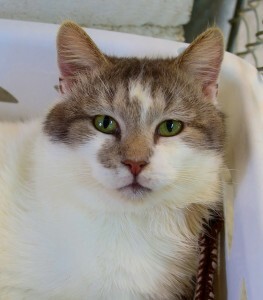 Rough and tumble, but very sweet and cuddly, Murray is an original. Very comfortable in his own skin, and able to relax anywhere, he doesn’t need much to be content. Lying in your lap, lounging on your couch, or lingering late in the morning on your bed, Murray can always find a place to rest and be happy. This five-year-old teddy bear of a cat could be an in-home remedy for insomnia. If you’re around him for too long your eyelids will seem heavier and a desire to nap undeniable. If you visit Murray, be sure to bring a pillow and blanket because you’ll soon be … zzzzzzzzzz.